What's Your Plan for Social Security? What’s Your Plan for Social Security? This might seem like a thought you don’t have to deal with right now, especially if your retirement is well in the future. But you should be thinking about it now because many older Americans are falling into poverty as they age. University of Michigan’s health and retirement study from 2009 found that 6 percent of those age 85 older were living in poverty, this is a 1.4 percent increase from 2005. Additionally, 3.3 percent of people between the ages of 75 to 84 fell into poverty in 2005, that number has increased to 5.6 percent in 2009. You can suspend your Social Security benefits once you reach retirement age. You can receive delayed retirement credits up to age 70. You can also withdraw your application to Social Security within twelve months of starting your benefits. Poverty rates for older Americans climbed to 9.4 percent in 2009. If you don’t have a savings program in place, your only source of income as you get older may be Social Security. With these statistics in mind, there is a strategy that’s come into recent focus that might be worth considering: file and suspend. Did you know that you can choose to suspend your benefits once you reach your full retirement age and still claim what are called delayed retirement credits? This means that you can increase your payments beyond your full retirement benefit, up to age 70. Visit the Social Security Administration’s website at ssa.gov/retire2/suspend.htm for more information. File and suspend is different than withdrawing a Social Security claim. You may be able to withdraw your application if you change your mind within a year of beginning your benefits. 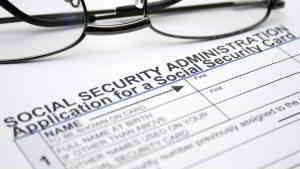 In order to approve your request however you will need to repay any Social Security benefits received. if you have collected your benefits for 12 months Withdrawing may not be an option. On the other hand, you may have the option of suspending your payments until you reach full retirement age, and up until the age of 70, available to you. Why think about Social Security now? Consider this: according to a recent Employee Benefit Research Institute (EBRI) study, more and more older Americans are spending their retirement years in poverty. Poverty rates for people ages 65 to 74 rose by 1.5 percent between 2005 and 2009. For older retirees between 75 and 84, the changes were larger with a 3.1 percent increase. Unfortunately the numbers climbed even higher for older retirees, according to the same study 14.6 percent of them lived in poverty in 2009. While there are health and associated costs to think about as you get older, another contributor to older Americans entering poverty is the economy. Due to the recession more and more people are also spending their retirements savings too quickly. There has actually been findings that the most recent poverty rates amongst retirees is correspondent to another two economic recessions of the past decade. Putting money into a 401K or Roth IRA and building up your savings might not be enough. If you wind up spending that money, your only remaining source of income is likely to be Social Security. Social Security payments are based on your earnings during your 35 highest-earning years in the workforce. AmOne can help you figure out the best way for you to manage your money and to plan for the future. Our experienced, knowledgeable associates are ready answer your questions on debt management, financial planning, investing, and more. AmOne offers solutions; your call to us is free and we won’t try to sell you anything. Find out how to reach us and learn more about how AmOne can help you today. Previous Previous post: Do You Know How High the Debt Ceiling Is? Next Next post: How Will You Finance Your College Costs?